In the early morning hours of February 2, 2019 we lost our sweet mother. She was in Apple Valley, CA. All of her children were present. She had 98 beautiful years on this earth. Billie was born October 17, 1920 in Lima, OH to Clifton Z. Kilgore and Burmah Mae Watkins. She grew up in Dayton, OH. Billie graduated from Roosevelt High School in Dayton where she met the love of her life, James (Jim) Deal. They were happily married for 36 years. She worked for the Government Signal Corps for a number of years. Billie was a loving wife, mother, grandmother (better known as Grammy) and sister. She was also a willing volunteer in different organizations. 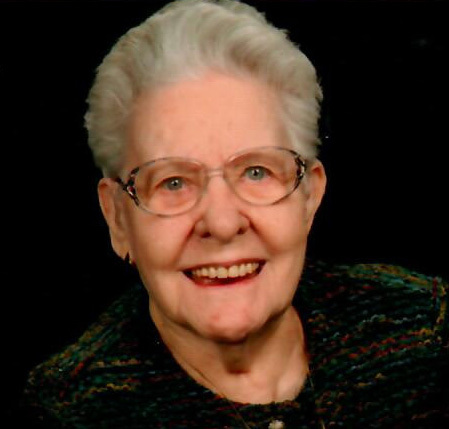 She served as President of the Altar and Rosary Society at Ascension Catholic Church in Kettering, OH. Billie was a volunteer at Saint Benedict’s Hospital in Ogden, UT and a member and President of both the PBO Does Ogden 27 and Lady of Elks, Roy, UT. Besides living in Ohio she resided in San Bernardino, CA; Apple Valley, CA; North Ogden, UT and Clearfield, UT. After being a widow for a number of years she met and married Louis Ridl and they shared 10 years together. Billie is survived by her children, Bobbie (Don) Hunt, Layton, UT; Sue Shuey, Apple Valley, CA; Mike (Loretta) Deal, Billings, MT; and Steve (Becky) Deal, Roy, UT; eight grandchildren, 14 great-grandchildren and seven great-great-grandchildren. She was preceded in death by her parents, both husbands, two brothers and her little angel son Raymond James (Butchie) Deal. Funeral Mass will be celebrated on Tuesday, February 19, 2019 at 10 a.m. at Saint Rose of Lima Catholic Church, 210 Chapel Street, Layton, Utah. Friends may visit family Monday from 6 to 7:30 p.m. at Lindquist’s Layton Mortuary, 1867 No. Fairfield Road. A Vigil with Rosary will be held at 7:30 p.m. Interment, Lindquist’s Memorial Gardens of the Wasatch, 1718 Combe Road, South Ogden. In lieu of flowers donations can be made to Saint Rose of Lima Catholic Church, P.O. Box 557, Layton, Utah 84041 or Shriner’s Hospital for Children, 1275 Fairfax Rd., Salt Lake City, UT 84103.